You either love them or loathe them, but chances are you secretly want to be like them. Morning people are a bit of a conundrum for night owls like myself who can’t fathom the idea of willingly waking at the crack of dawn. I was the kid who waited until the last possible minute to crawl out of bed in time for school, wolfing down my breakfast in the car while half awake. What I missed in early morning cartoons I gained in late night adult cartoons, which likely explains my mature humor growing up. As I’ve gotten older, I’ve come to realize something my younger self would be baffled by: I want to be a morning person. I want the time to sit and journal before work, to savor a big breakfast and to read the news at a leisurely pace. Hell, maybe even get a load of laundry done! Try as a might, those 7 to 7:30 a.m. alarms I set are subconsciously snoozed, and I often find myself awake at the last possible minute, rushing to work. If you struggle like me to be a naturally early riser, there are a slew of products that supposedly help. These are tried and true products I swear by to get you to sleep earlier and awake earlier, sans snoozing 5 alarms. Sometimes the thought alone of waking up early can make me anxious. 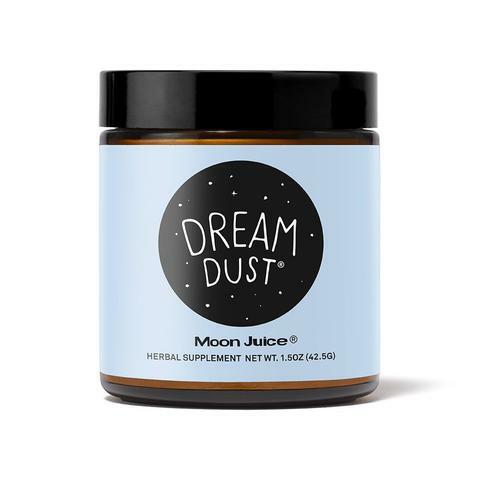 To calm those racing thoughts, I blend a teaspoon of Dream Dust into warm almond milk before bed. The adaptogenic blend is formulated to help combat the effects of stress and soothe your mind for a blissful sleep. Going to sleep is a major sensory experience. Aside from wanting a dark room with minimal outside noise and a comfortable bed, soothing scents can help relax your entire body for a restful slumber. This aromatherapy roller has hints of comforting lavender, blue yarrow and cypress to relieve mental fatigue and nervous exhaustion. This alarm clock is a two-in-one with a light therapy lamp that acts as a sunrise simulator. So even if you need to rise before the sun, you can do so naturally. Light therapy lamps are clinically proven to help mood and sleep, especially if you suffer from Seasonal Affective Disorder (SAD). 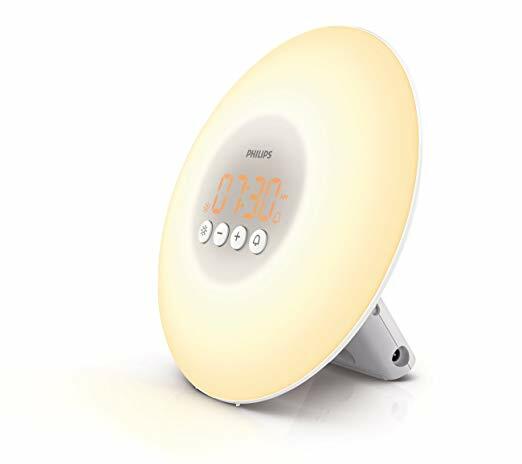 The alarm clock gradually increases in brightness over a 30-minute period before your alarm goes off, leaving you energized to start the day. Coffee consumer or not, the smell of hot, brewed java in the morning is sure to send a jolt of alertness through you. There are a ton of programmable coffeemakers out now that will automatically brew fresh beans when you choose. I like this brewer because it includes an automatic grinder if you prefer freshly ground coffee beans without the hassle of grinding them yourself. 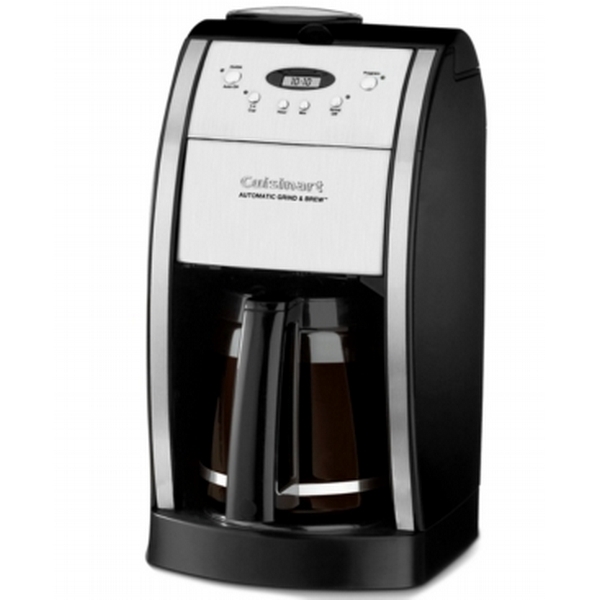 It makes up to 12 cups of coffee with different strength settings depending on your taste preference. Finally, it has an automatic shutoff feature, so you never have to worry again if you turned off the coffee machine. While you’re sipping your hot coffee, pop on these under-eye gel masks to de-puff and refresh. Because let’s face it, if you’re not a morning person already, chances are your face isn’t either. 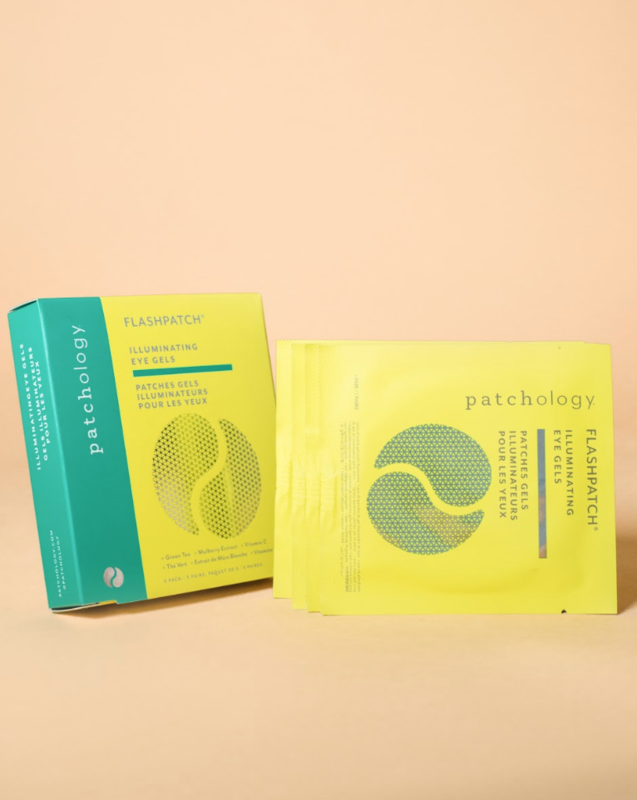 I have terrible dark circles when I wake up early, and these masks are a lifesaver. Leave on while drinking your first cup of coffee and pat the remaining serum into your skin when done. The green tea extract, mulberry extract and pearlescent minerals will provide you with an instant refreshed glow. All the morning people I know are morning shower-ers. Whether that’s a coincidence or not, I’m convinced a quick scrub, be that a full shower or face wash, immediately perks you up. Lush has a full line of deliciously-scented bar soaps, jellies and scrubs, ranging from soothing to energezing. 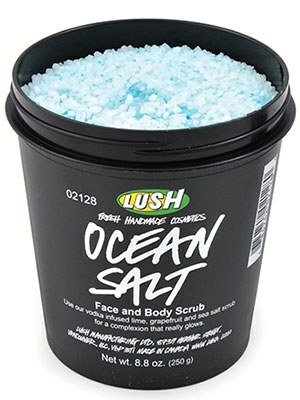 The Ocean Salt Scrub is a best-selling classic. It delivers a seriously punchy citrus scent that brightens and tones your skin with lime extract. The mix of fine and coarse sea salts deeply exfoliate while ingredients like coconut oil and avocado butter gently soften the skin. Talk about a wakeup call! 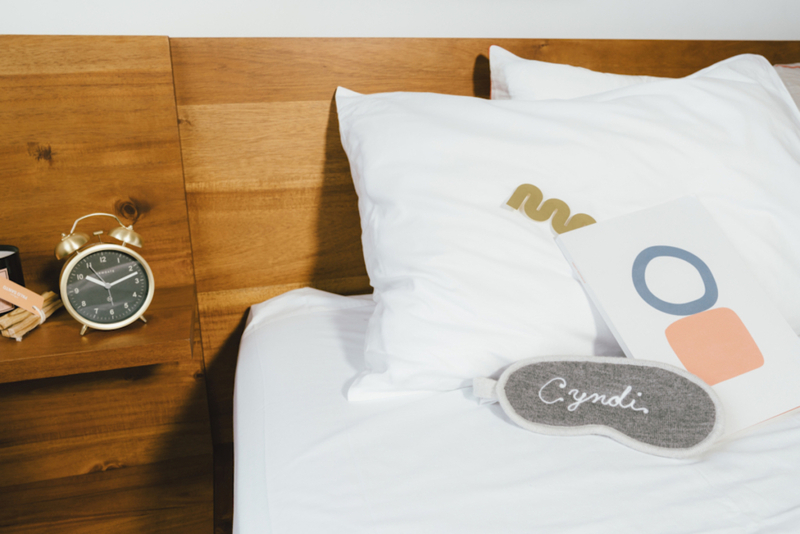 Whether you’re a morning lover or wannabe early riser, these products are sure to get you excited to start the day and asleep earlier, fast.